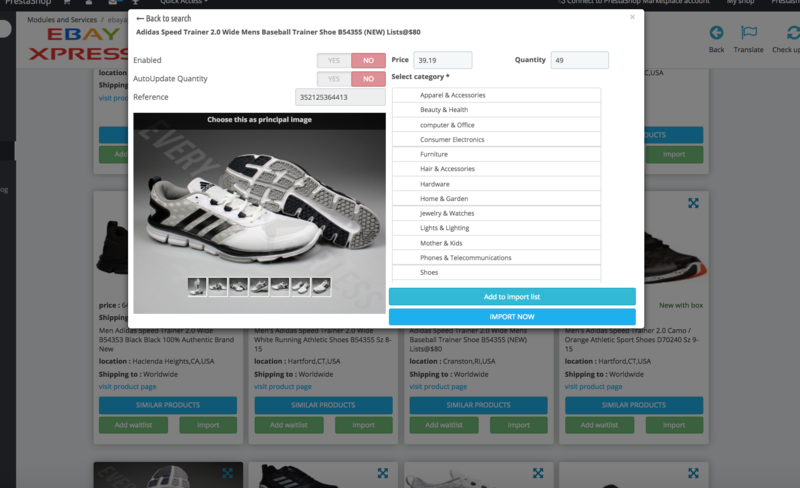 EbayXpress importer allows to have a fast catalogue search and import from Ebay marketplace to your shop. EbayXpress does provide advanced search capabilities using many search criteria to facilitate product findings. 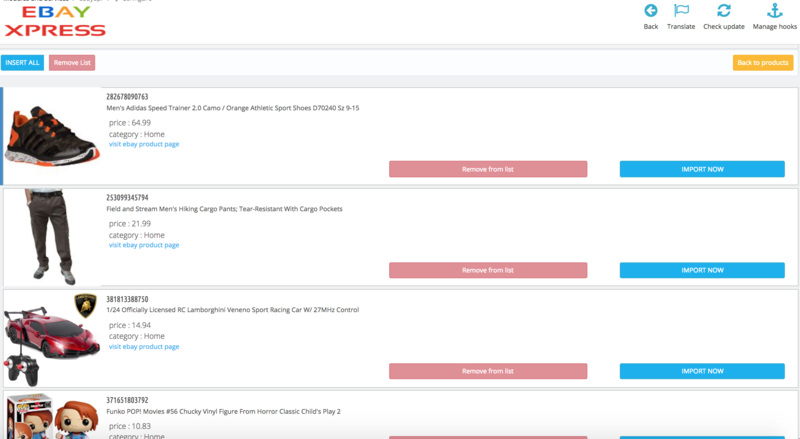 The list of search criteria will help the user to minimise the time needed to find the most interesting products and to add them to his marketplace by simple clicks. 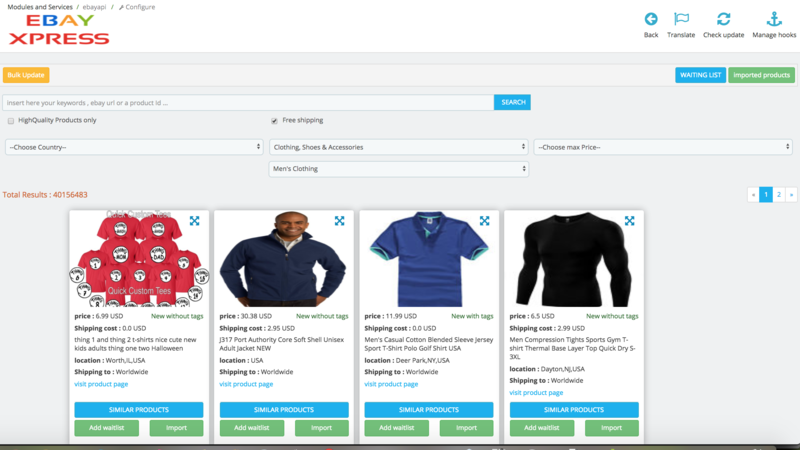 Ebay Xpress provide an additional abstraction layer that gives to the end-user the capability to change important information of the final product, a dedicated interface is used to offer such capability, using this interface, the user can modify the price, the requested quantity and many other details. 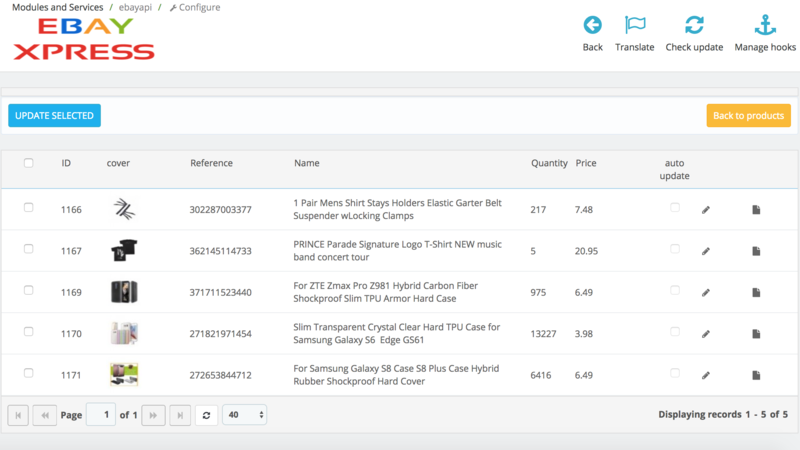 Ebay importer was designed using user experience best practises which help to make the search and the import capabilities a very trivial task.